In this world, everything can done via internet, online appointment with doctors make it more convenient for the patients as it saves time standing in queues to take appointment of their doctors. 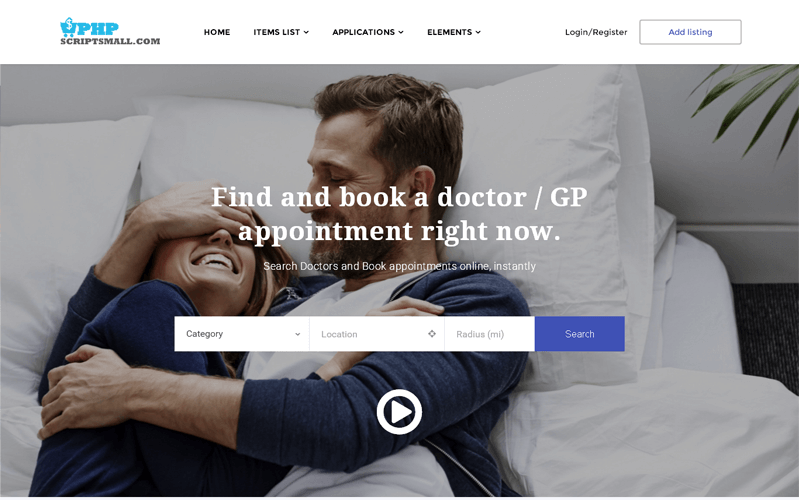 It is the latest upcoming trend and if you desire to start your own doctor appointment website, we have the Zocdoc clone script for you. This Zocdoc Script is fully customizable, so this can be tailor-made to suit for several other industries and businesses such as lawyers, industrialists, restaurants, and travels to name a few, any such business can use this software. Using our open source doctor hospital booking script, doctors and private clinics can register them on your website and get connection with patients globally. Patients can view the available doctor and get the appointments in advance as per their scheduled time and date. Revenue Generation: Practo script helps to generate revenue in the form of doctor’s membership fee, premium listings and banner ads. Multi-lingual: It has more than 120 features and supports multiple languages. Payment and social media integration: It is integrated with different online payment gateway and social media sharing. Other Features: It also has some major features such as responsive design and search engine friendly, the website administrator has powerful accounting reports for various order details like the daily, weekly, monthly and yearly reports. After-sales support: We provide brand free products and full technical support for 1 year along with 6 months free updates and as soon as you buy the script; your website will be live within 24 hours. I’m very happy with my choice of using PHP Scripts Mall Team. Their team was support me lot for many times. Thanks for your Support Keep it up!!!! Well Secure Source code, extraordinary features, functionalities its work amazing I’m really impressed.